We welcome everyone to visit, roam the trails, smell the flowers and enjoy our facilities in their entirety! These few guidelines will help maintain an environment of peace and tranquility and foster a spirit of friendliness and respect. Please exercise wisdom and caution to avoid accidents and damage to yourselves, our facilities and natural resources. 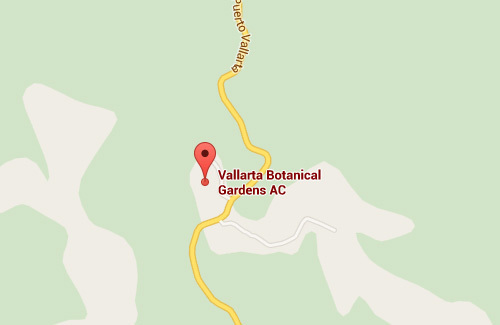 The Puerto Vallarta Botanical Gardens is a place of quiet reverence, anyone disturbing the peace will be ask to leave. Dogs must be kept on a leash at all times and you must clean up after your pet. Please remain on the maintained pathways at all time. Steep ledges are dangerous and present in some of our unmaintained areas. First Aid is available in the Visitor Center. In wooded areas please watch your step carefully for loose gravel or exposed tree roots. When swimming in the Crystal Pools please, no diving! Underwater rocks can pose unseen dangers. Children under 15 must be at all times closely supervised by a responsible adult to avoid accidents or disruption of others. Shirts and footwear are required in our restaurant area. Cutting or touching plants and flowers is strictly forbidden. Dogs must be kept on a leash at all times, and you must clean up after your pet. When swimming in the Emerald Pools: please, no diving! No screaming, yelling or loud whistling allowed. Please respect the peace and quiet of nature while visiting. Jungle trails may present steep ledges, uneven footing, and slippery surfaces. Hike slowly and with caution. 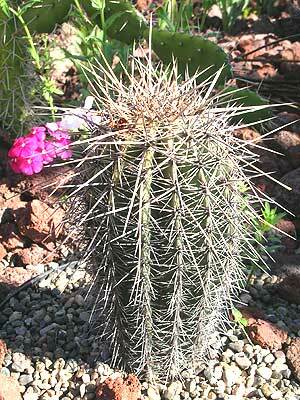 Poisonous plants and venomous critters may be occasionally encountered. Stay on designated trails and do not disturb the wildlife. Don’t dive in the river. Distances and objects underwater can be difficult to judge. Remember that the Gardens close at 6:00 pm. Please do not venture along the Jaguar or Chachalaca Ridge Trails after 5:00 pm. Garden Staff in the Visitor Center maintain basic first aid supplies and have basic rescue training, but prevention of problems is the best solution. No screaming, yelling or whistling allowed! It is recommended that in jungle areas that youngsters are encouraged to whisper in order to view birds and other wildlife. No outside food or drink allowed! Snacks can be purchased in the Hacienda de Oro. Cutting, touching, or collecting plants is strictly forbidden! Swimming in the Emerald Pools is at your own risk, no diving! Stay on designated paths and trails at all times! One chaperone for every 10 children in The Garden. Please respect the peace and quiet of others while visiting this natural sanctuary. Open Daily 9 a.m. – 6 p.m.
8 a.m. every Thursday from December to March. You can arrive by catching the bus to “El Tuito” at the corner of Carranza and Aguacate streets, in the Romantic Zone. This bus leaves every half hour or so. This bus will also return you to PV. Bus fare is 30 pesos (about 1.60 USD) each way.